Zhongshan (historically known as Xiangshan), one of the few cities in China with an eponymous name (a person or thing, whether real or fictional, after which a particular place or other item is named,) is named after Dr. Sun Yat-sen (1866–1925) who was also known as Sun Zhongshan. Xiangshan was renamed Zhongshan in 1925 following Sun Yat-sen’s death. But this story isn’t about Sun Yat-sen; it’s about someone from his hometown. There were only about a hundred Chinese in the entire kingdom when he arrived. He was in his mid-twenties, of average height (about five and a half feet) and sparingly built; it was his piercing black eyes that people remembered. At that time, there was no Chinatown in Honolulu. The Cantonese enterprises were scattered throughout the small business district at the harbor’s edge. Over the years in Hawaiʻi, he was widely known as Chun Afong, a respected Cantonese merchant, who was proficient in the Hawaiian and English languages, and conversant with Western manners. In 1852, the importing of contract labor from China began; these new Chinese to Hawaiʻi were from a different province and spoke a different dialect than their entrepreneurial predecessors – and the two groups of Chinese didn’t get along very well. Throughout the reign of Kamehameha IV, which was marked by good feelings among Honolulu’s racial groups, the public image of the Cantonese merchants remained generally favorable, in part because of their unfailing generosity to the throne and their commitment to civic betterment. Chun Afong became the leader of the Chinese community and prospered in business. He married a hapa haole woman (Julia Fayerweather) and reared a large family. Afong’s business was headquartered in Hawaiʻi, but with his two brothers, he also had stores in San Francisco and Hong Kong. Moreover, he reportedly had interests in mercantile businesses in Canton, Macau and Shanghai, and agricultural lands in Zhongshan. He lived in the grand style mansion on Nuʻuanu Avenue and School Street in Honolulu, and a villa on Waikīkī Beach. His Waikīkī villa was on three acres of landscaped oceanfront property. 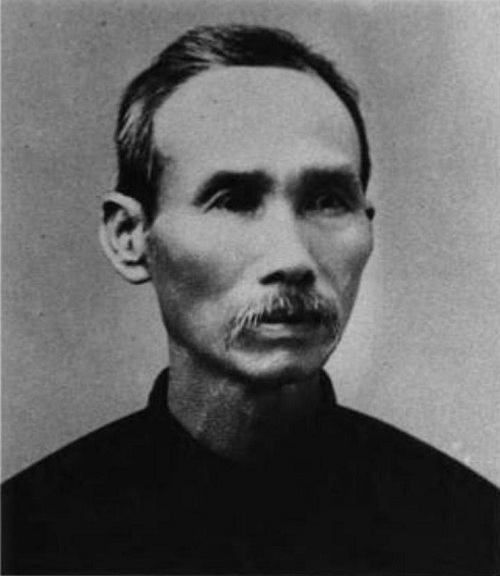 In 1873, Afong spent some time in China with his China wife and fathered another son. His Hawaiʻi enterprises continued to prosper and when Kaupakuea, a sugar plantation outside of Hilo he was leasing. It became available for purchase in October 1874; he bought it. After three decades in Hawaiʻi, the “Merchant Prince of the Sandalwood Mountains” (as coined by historian Bob Dye) returned to China to get richer. His first fortune, made in Hawaiʻi as a planter and merchant, fueled his China enterprises and funded his philanthropic works. For his philanthropy he was granted official rank by the Qing government, and to honor him memorials were erected in his home village of Meixi, located about nine miles north of Macau. The memorials still stand on the entrance road to the small agricultural village, but the villagers who bicycle past them today have no knowledge of the man who, a century before, commanded a business empire that stretched from China’s Pearl River Delta across the Pacific to San Francisco. Afong’s family life was fictionalized in a famous short story, “Chun Ah Chun,” by Jack London and in a Broadway musical comedy, Thirteen Daughters, by Eaton Magoon Jr., a great-grandson of Afong. The image shows Chun Afong; in addition I have added other related images in a folder of like name in the Photos section on my Facebook and Google+ pages.